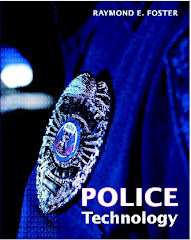 The National Institute of Justice's Forensic Technology Center of Excellence has a Just Science podcast series on Forensic Advancement. The series will focus on areas that challenge forensic leadership within the community. A majority of these interviews were recorded at the 2018 ASCLD Annual Symposium in Atlanta, Ga. This season will include episodes covering performance tools, ASCLD efforts in rapid DNA, return on investment for DNA databases, witness testimony, millennial personnel and laboratory public relations. In episode one, Just Science interviews John Collins, an instructor and consultant from Critical Victories, and Jay Henry, the laboratory director at the Utah Department of Public Safety. They discuss how crime labs can create environments that are more appealing to the younger generation of professionals and the challenges directors are facing with retention. For more information, go to https://forensiccoe.org/js7-e1/.